Guests at Fare Apitia can enjoy tropical island living in this self-contained holiday home situated opposite the waterfront. You can cool off with a swim in the private outdoor swimming pool. Free WiFi is provided. This air-conditioned holiday home is surrounded by lush gardens and features a fully equipped kitchen with an oven and a coffee machine. There are 2 bathrooms and a lounge room with a flat-screen TV. There is also a BBQ so you can prepare meals outside. You can enjoy exploring the array of picturesque beaches around the island. Fare Apitia is located 10 minutes’ walk from Moorea Green Pearl - Golf Course. It is 5 minutes’ drive from Moorea Airport and 10 minutes’ drive from the ferry terminal. 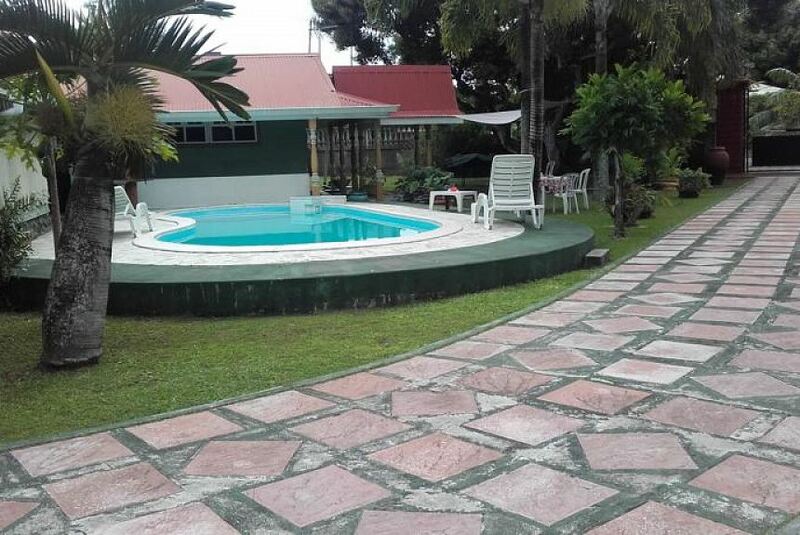 This property is in one of the best-rated locations in Maharepa! Guests love it compared to other properties nearby.